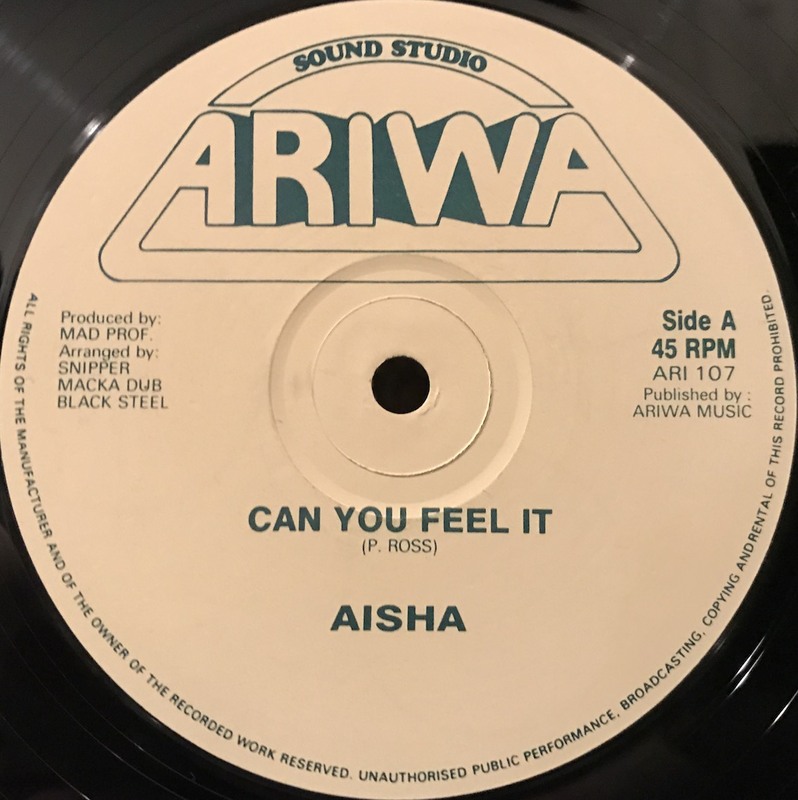 Aisha is a Jamaican British singer and real name is Pamela Ross. Produced by Mad Professor who does also the founder of Ariwa, and it is like mixed Lovers Rock and synth disco. Also "steel pan it" on back does so great.